It’s always good to have a before and after photo to record your progress. When I look back at our place in the early 90s I can’t believe how far we have come. Take a picture now of your before and get ready for the after! 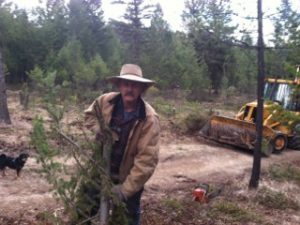 Mike clearing the mini farm back in 2014 and his first year of planting it. Mike works on a greenhouse to extend our season! 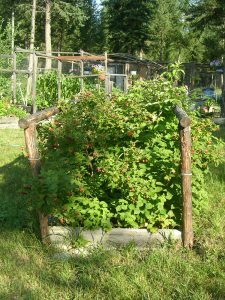 This was our raspberry bed that fed us for years but last year it just finally quit. 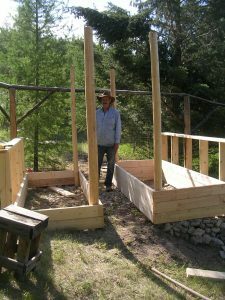 This is one of the very first beds Mike ever built and is still there today! 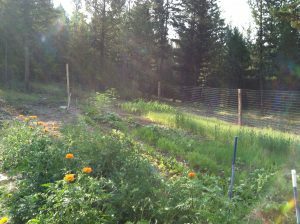 Or you can post in the Organic Gardener Facebook Group or message me or Mike on Facebook.